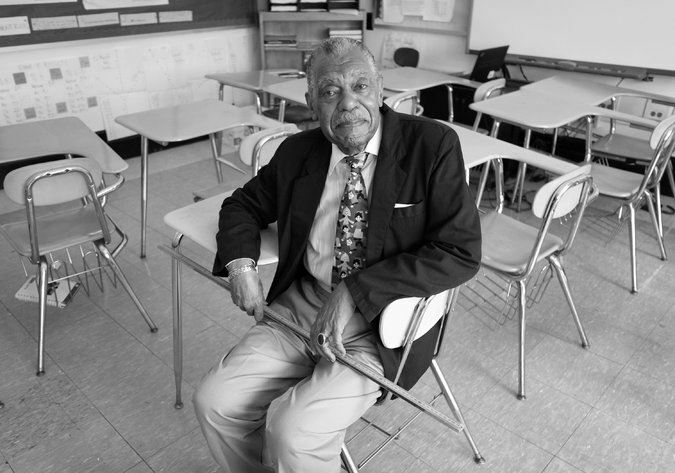 I am publishing a blog post I wrote four years ago about teaching at Wadleigh Junior High School (IS 88) in Harlem and one teacher in particular who was definitely a Hero of Harlem. 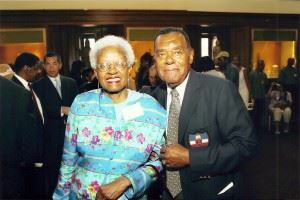 His name was Ed Plummer, a mathematics teacher, who ran the ABC (A Better Chance) scholarship program, helping Wadleigh graduates get into prestigious prep schools and high schools and on to university. The program was supported by many of his celebrity friends, including the late singer and actress, Lena Horne, and the famous author, James Baldwin. I received an email from a Wadleigh parent who had sent a former student the sad news about the death of Ed Plummer. The parent wrote to Sean: “Sadly, I received an email today from Mr. Derrick Wallace (present director of the scholar’s program in Mr. Plummer’s absence – he was in a nursing home), that Mr. Edward Plummer passed away yesterday 12/5/18. Funeral arrangements and memorial services are still underway. You may contact Derrick at dcwtnt@aol.com for further information. Mr. Plummer was an angel among us.” Here’s my original article. The Plummer story is below in italics. Here’s the piece I wrote in 2014. But it’s true. 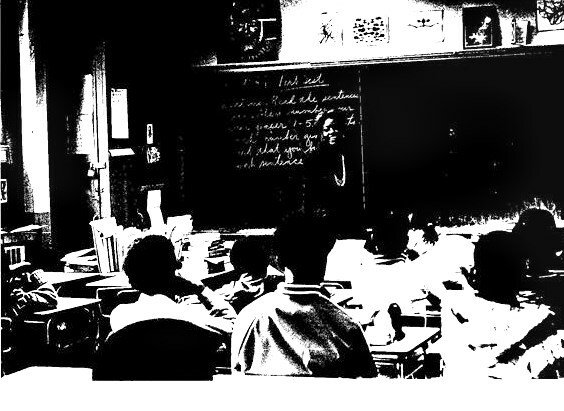 I saw it myself: black and white teachers working together so black children can make it in the outside world, still run by white people; parents and administrators pooling their resources to help kids get an education in a city that is by no means financially secure; and, most important, the children themselves, learning despite the disadvantages they have inherited from society. It happened at Wadleigh Junior High School 88, just off Seventh Avenue and 114th Street in west Harlem, which is overwhelmingly black – east, or Spanish Harlem, is predominantly Hispanic. The reason I chose this school? Twelve years ago in 1970, I was a teacher there, an experience I have never forgotten [and still haven’t 44 years later!]. I taught there in there in 1968-69 and 1970, during teachers’ strikes, Cambodia and Richard Nixon, the killing of student protestors by national guardsmen at Kent State University in Ohio and myriad protests against the Vietnam War and the draft. Conscription and idealism were the two main factors in teaching in Harlem. One sure way of avoiding the draft and, almost inevitably, Vietnam, was to teach in a so-called disadvantaged area. It seemed to me, and I’ve said it many times since, much more preferable – and reasonable – to be teaching black kids in Harlem than to be killing Vietnamese kids in Vietnam in a war I didn’t believe in. It was an opinion shared by most of my generation. As a relatively young and inexperienced teacher, I had my quota of bad days at Wadleigh – when the only thing that kept me going was the thought that I was contributing to society. And to be honest, that the day would come when I would turn 26 and no longer be eligible for the draft: April 30, 1970 was a day of freedom. Ironically, five years later on that same date, Saigon fell and the war was over. He was referring to the violence in the schools and on the sometimes mean streets of Harlem. Among the incidents which stand out in my memory are: a sixth-grade pupil of mine waiting outside a classroom with a broken bottle in his hand to pay back a teacher who had slapped him earlier in the day (fortunately, he gave the bottle up to me without a struggle); another student spitting in my face which prompted me to chase him down the stairs, out the door, and down several streets, before I realised I was a white man running after a black child in Harlem; and getting mugged for 35 cents as I walked across Morningside Park after school to climb the stairs to Cathedral Parkway and my bank. I was in more danger from the elderly white resident screaming “help” from the top of the steps. There was a fleeting smile from one of the young black guys as I explained I only had 35 cents to my name. It was not an easy gig teaching in Harlem. But it wasn’t all doom and gloom. There was the Faculty Follies, whose proceeds went to the ABC (A Better Chance) scholarship program, helping Wadleigh graduates get into prestigious prep schools and high schools and on to university. The program was run by Edouard E. Plummer, mathematics teacher, and it was supported by many of his celebrity friends, including the late singer and actress, Lena Horne, and the famous author, James Baldwin. One person I’ll never forget is Doris Brunson, who began teaching at Wadleigh in 1957, and refused several better-paying jobs to stay at the school until she retired. She helped found the ABC program with Mr Plummer, and was an award-winning teacher for her contribution to the education of children in schools like Wadleigh. When I went back in 1982, she asked me if I wanted to teach one of her English classes. As you can see from the blackboard in the photo above, I taught a brief lesson about Aboriginal Australians, as their anthology had a story about Evonne Goolagong Cawley and how she became a successful tennis player. The story also gave me the opportunity to talk about Aborigines in Australia and their problems – problems in discrimination similar to ones they faced. But Ms Brunson demonstrated why she was a master teacher (1982 photo above). Her lesson to her eighth grade class was based on a teleplay about a blind girl in the same anthology. Miss Brunson read the stage directions and told the children to “put some feeling into your voices.” They did. Nothing is forced and when something in the text needed explanation, she did it … almost automatically. After the reading was over, she had some of the students come to the front of the class, put on blindfolds and try to guess what objects are being handed to them. A simple, but effective follow-up. Later over coffee, I asked Ms Brunson what kept her at Wadleigh for so long: “Despite all we have against us, we have a nucleus of people, who have hung in there and done their best. There are teachers here who care. That’s one of the beautiful things about Wadleigh. I think that’s the reason I stayed. There were times when I was really ready to chuck it in. When there was pressure on me to produce and make sure that the children get what they are supposed to get, even though your energies are rapidly dwindling. You feel as if the children are pawns in a game and it angers you. Then you see those kids and you compare them to other children getting all the benefits and all the goodies, and you say, ‘I’m going to try another year’. Ken Chevers was then a 24-year veteran of Wadleigh, a small man of 60, who didn’t look a day over 40. As tough as they come, he was all heart. The kind of bloke who could silence a school assembly, with one sentence, looking the recalcitrant n the eye, and saying: “If you don’t want to bounce, shut up.” The student shut up. But he could also tell the same eighth-grade assembly: “You’re the cream of the school. You set the example.” He was proud of the kids and they knew it. And whenever I had a problem with the kids in my class, Ken would show up before I called him. It must have been a Chevers triplicate. *I’m adding a footnote here because a good friend in the US suggested Australians might not get the reference to Jackie Robinson. He was the first African-American baseballer to play in the major leagues. I have written about Jackie in a previous post when I reviewed a biography of Branch Rickey, the president of the Brooklyn Dodgers, who brought him into the majors in 1947. The biography is by the late Pulitzer Prize-winning Jimmy Breslin, and it’s a book that says a lot about baseball and racism. http://wp.me/p1Ytmx-3F Highly recommended. I had the opportunity go to through the Wadleigh Scholars Program and was taught by Mr. Plummer as well. Words cannot describe my level of gratitude for his wisdom, dedication and love for his students. I consider myself to be extremely blessed to have been one of his students. Hello Sean. Sadly, I received an email today from Mr. Derrick Wallace (present director of the scholar’s program in Mr. Plummer’s absence – he was in a nursing home), that Mr. Edward Plummer passed away yesterday 12/5/18. Funeral arrangements and memorial services are still underway. You may contact Derrick at dcwtnt@aol.com for further information. Mr. Plummer was an angel among us. Thanks for letting Sean and me know, Marcelle. I will email Derrick and update my blog post to let others know about the Hero of Harlem, who certainly was an angel. My condolences to his family and the hundreds of students he mentored over the years.